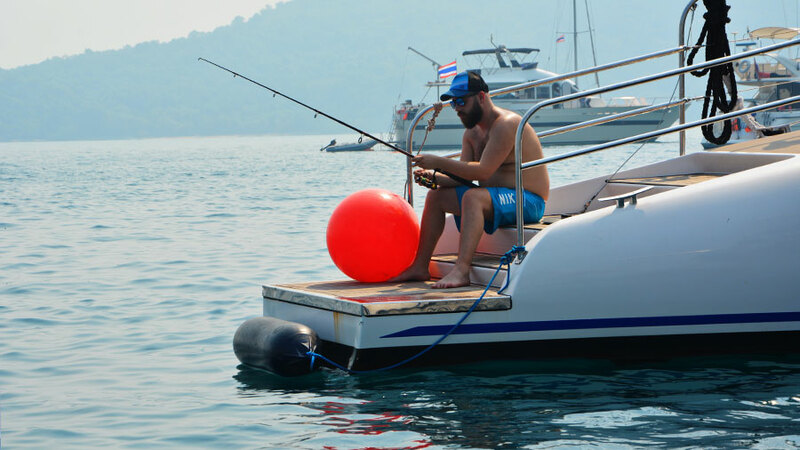 At Pattaya Yacht Charters simply relaxing onboard your luxury vessel, swimming in the warm tropical bays, chilling on deserted island beaches, snorkeling and ‘fun fishing’ are the most popular activities during most private charters. 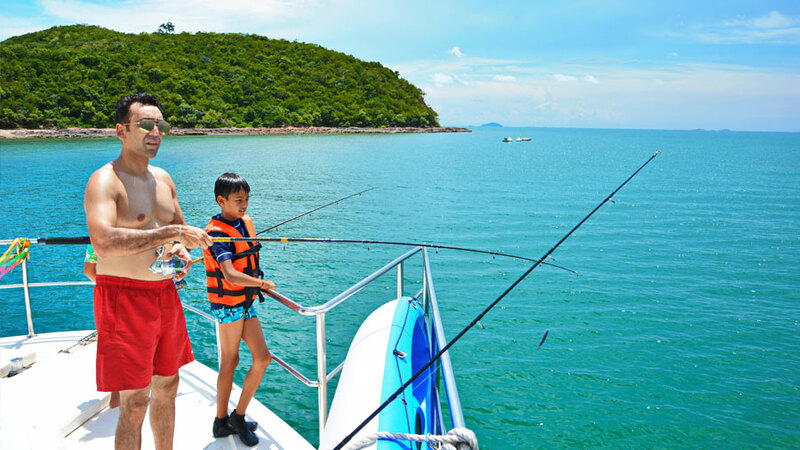 Fun fishing is an awesome activity as the name suggests it's all about having fun! We not waiting hours for monster big fish. We are waiting minutes as we are targeting small pan sized fish that can be caught with ease. The small rods and hand lines we use make even a small fish feel like you've got a fight on your hands as you try to reel the lively snapper in. 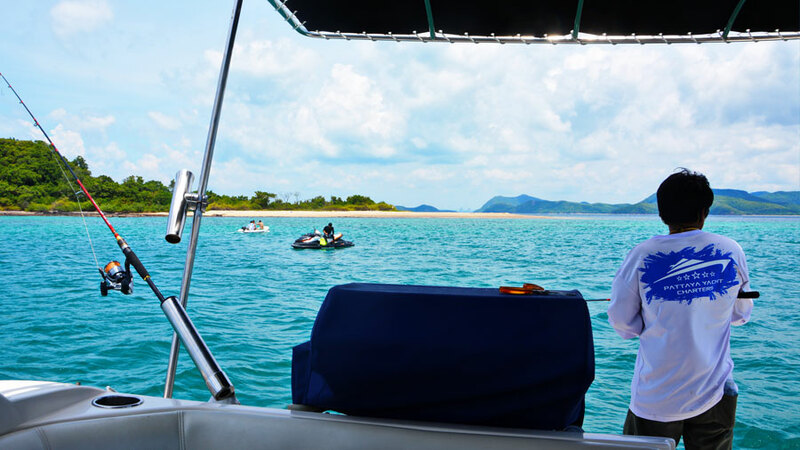 We use fresh squid for the bait and will take you to some locations where you are sure to catch some fish. Bait the hook with squid by spearing the hook through a pre cut piece of squid and then fold the squid and push the hook through it again, this method hides the hook inside the squid so the fish does not see it, increasing your chances of a ‘catch.’ Don’t worry if you don’t want to bait your own hook our crew will do it for you. 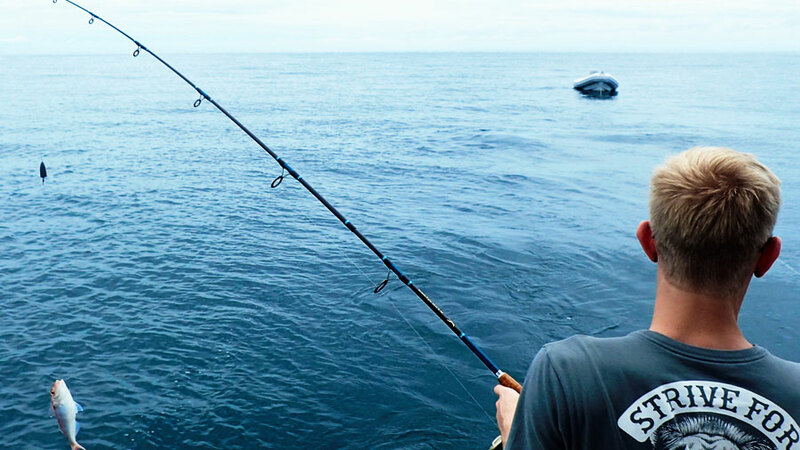 Drop your line until the weight hits the ocean floor, you should feel the line go slack, then wind the handle on the fishing reel to pull the line back in approximately 1 metres from the ocean floor, this is the best depth where the fish prefer to feed in the shallow Gulf of Thailand. 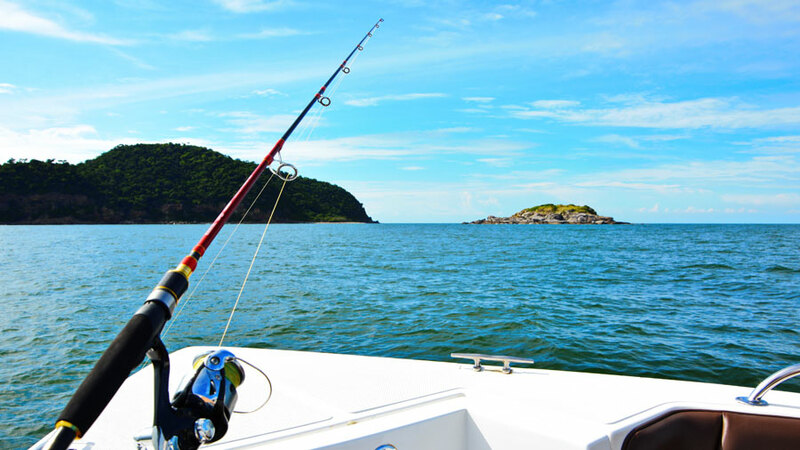 Whilst keeping the line tight, you can feel any motion or pulls from the hook, which would indicate that a fish is biting at your bait, if you believe you have a fish eating your bait then ‘STRIKE’ by whipping the fishing rod or hand line slightly upwards or in the opposite direction the where your line is pointing. 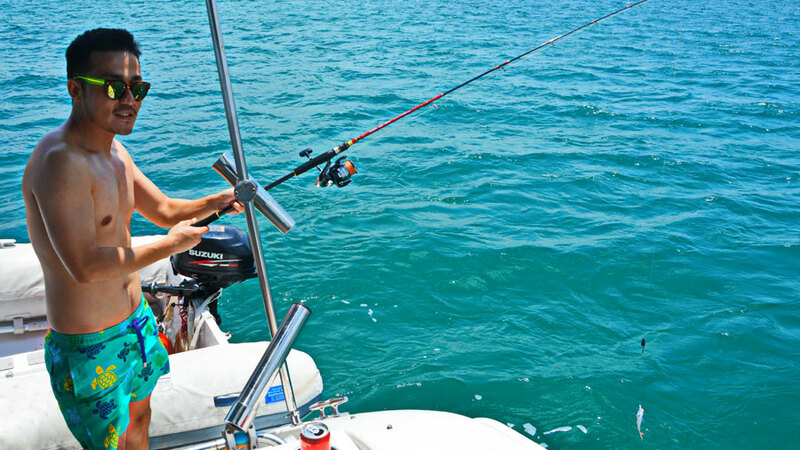 Start winding your line back in and you should feel the weight difference if you have a fish on your hook, bigger fish may put up a fight, which is lots of fun, just keep winding the reel until the fish is out of the water and higher than the side of the boat. 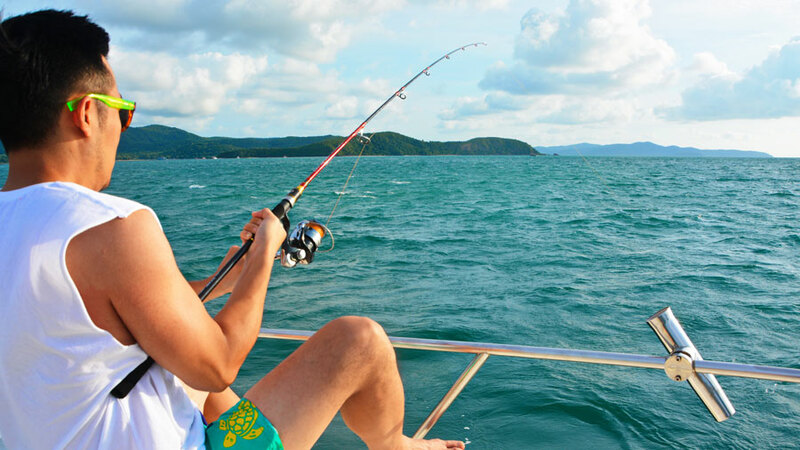 If you feel confident you can bring the fish inside the boat and take the hook from the fish’s mouth. 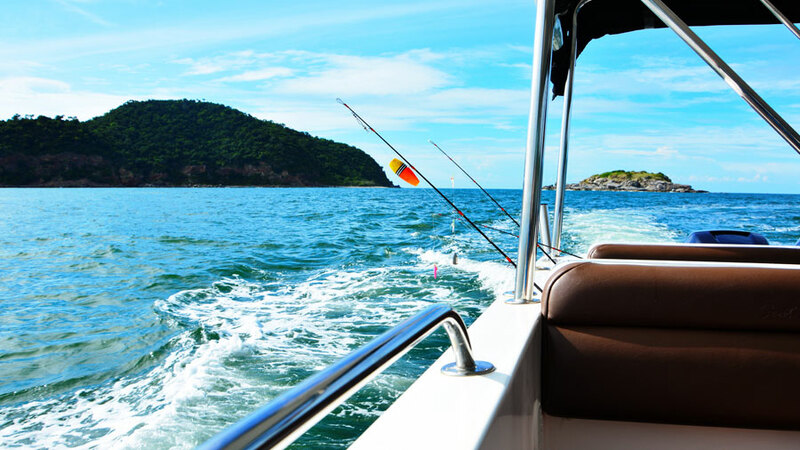 If you prefer, our crew will be more than happy to demonstrate this for you or they can bring the fish aboard and take out the hook from the fish’s mouth.